Conveniently alarm your vehicle at the same time you remotely lock the doors and turn off the alarm when you unlock them. And with the system's Smart Detect™ vibration sensor any sudden impacts made to the vehicle will also trigger the alarm. Easily identify, locate and confirm the wiring in your vehicle using our vehicle specific step-by-step installation guides and LED style test probe. 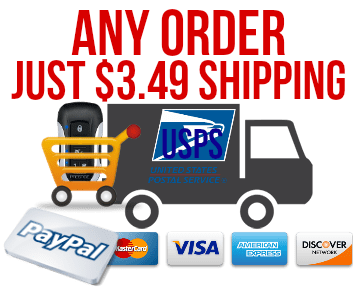 Every VSS™ kit is delivered to your door complete with all the parts and information you need to install the system into your specific vehicle. And with the step-by-step system-to-vehicle installation manual with it's accompanied LED style test probe will guide you to getting the job done faster and easier! The Prestige 25-VSS™ Vehicle Security System includes two chromed-metal reinforced water-resistant remotes that will withstand the daily wear & tear of hanging by your keychain. And with their unique thinner ergonomic design they will immediately feel more comfortable in your hand compared to other conventional remotes you have used. And with their larger sized vertically-alined control buttons they will easily enable you to remotely activate the option you want at just a glance, all from up to 500 feet away. The system will alarm all your vehicle's doors and trunk (if equipped) or hood if you want. If any of the vehicle's doors or trunk are opened without unlocking (disarming) the vehicle's doors first with one of the system's remotes the system will trigger and sound the alarm before the entrance is opened more then an inch. For additional protection our alarm systems include an additional sensor that can detect excessive levels of vibration made to your vehicle. 2 easily adjustable sensitivity levels so you can get just the right setting for your size of vehicle it can detect two different levels of vibration made to your vehicle to help prevent false alarms. With level 1 detection you can adjust it to detect lighter vibrations made to your vehicle simular to the amount of vibration made when closing the hood and when level 1 detection is triggered the system will only pulse the siren to provide a alarm warning. With level 2 any vibration made above the level 1 amount, for example someone backing into the vehicle, jacking or towing, will immediately trigger a full alarm. This alarm and keyless entry kit combines the system's flashing security LED, Valet, Emergency Override and replacement remote programming switch into just one unit for easier installation and accessibility. This system will automatically flash all 4 corner lights (a.k.a. parking lights) of your vehicle 1X when you lock/arm the doors and 2X when you unlock/disarm the doors and will continuously flash them when the alarm is triggered. There's not much room under the hood of most vehicle's these days so a small yet powerful 110dbl mini-siren is provided for easier placement. Measuring only approx. 3" square this high-frequency 110dbl siren with it's 6 multi-tone sound will carry for hundreds of feet. Automatically supplied for vehicle's without OEM/Factory anti-theft systems, this feature disables power from reaching the vehicle's starter motor when the alarm is triggered. Many newer vehicle's on the road today have auto-locks which locks the vehicle's doors shortly after you begin to drive, if your vehicle is not equipped with this feature you can order this system to provide it. And it can be pre-configured for you with a few options: Auto-lock with ignition ON only, Auto-lock & unlock with ignition ON/OFF or just unlock doors with ignition OFF. 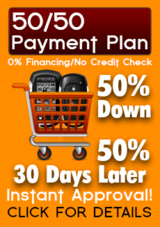 The standard setting for Aftermarket car alarm systems is that the system only arms when you use the remote to lock the doors (recommended setting) but if you prefer the system to be set-up to automatically arm itself 30 seconds after the last door of the vehicle is closed the option is provided during ordering. As with any of our VSS™ systems no matter what type of power door locks circuit your vehicle is equipped with the system will be able to control them and provide up to 5X more remote control range then most OEM/factory remote keyless entry systems. 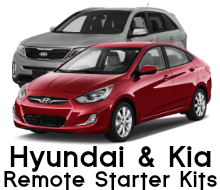 The kit includes 2 interior "Vehicle Protected with Vehicle Security System" window stickers, one for the driver's side window and one for the passenger side. Repair or replacement of any component of the system (excluding remotes, one year on remotes) that's found to fail from normal everyday operation for a period of 3 years from date of delivery. You will be asked to indicate the year, make and model of vehicle the system is going to be installed into during ordering. 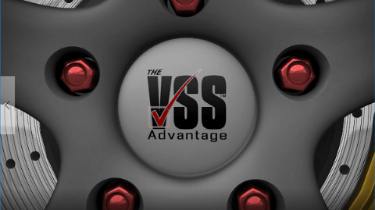 Every order placed is reviewed by one of our technicians for VSS™ (Vehicle Specific System) platform availability within 24 hours. 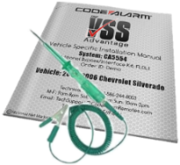 If in the rare event that we do not have a VSS™ kit available for your specific vehicle our technician will promptly email a reply you indicating this status and immediately cancel the order. With all the parts and information you need to install the system into your specific vehicle. And the step-by-step system-to-vehicle installation manual with it's accompanied LED style test probe and T-Tap connector kit will guide you to getting the job done faster and easier! No running to the computer to download vehicle information and no sitting with a lap-full of "spaghetti-wire" jumping from wiring chart to system manual trying to figure out which wires are needed or not needed that connect to your vehicle. Each VSS kit includes a step-by-step, wire-to-wire vehicle specific installation guide that indicates exactly what wire from the system connects to what wire in your vehicle, where the wire is located and how to confirm that you found the correct wire using the VSS kits supplied LED style test probe. Many of our guides also include color photo's and illustrations. Each of our VSS kits includes an easy to use LED style test probe to use along with the VSS kits step-by-step vehicle specific installation manual. This test probe simplifies the procedure of finding and testing for the correct wire in your vehicle by lighting a green or red LED to indicate the target wire's polarity (explained in each step of our vehicle specific install manuals). No matter what type of power door lock circuit your vehicle is equipped with the system will include the needed component. Many vehicles on the road today have what is known as a "data-type" or "multiplexed" power door locking circuit. This means that the vehicle is not equipped with conventional positive or negative triggered wiring that can simply be tapped into when installing an aftermarket keyless entry system. When a vehicle is equipped with this type of power door locks circuit an additional interface kit is necessary to install any brand of keyless entry system. Additionally, many older vehicles can require an additional 5 -wire relay set-up with or without resistors, no matter what type of power door lock circuit your vehicle is equipped with the mandatory components will be included in with the VSS kit. To avoid the inconvenience of getting into the middle of an installation and finding out that you need to stop and run to the auto parts store for a relay or look for some resistors or diodes, we include any needed extra relays w/harness (for example, for power trunk activation) and/or diodes, resistors, voltage inverters, etc. needed for your specific vehicle. Each VSS system includes 3 different size's of quick-connect "T-Tap" connectors with male spade connectors pre-crimped to the ends of the systems wiring for making quick connections from the system to your vehicle's wiring. Also included are crimp cap connectors for connecting wires end-to-end and self-tapping screws with ground loop connectors for making chassis ground connections to the vehicle. Nylon zip ties are also supplied for securing wiring, control module and sensor placement. Have access to some of the top technicians in the industry 7 days a week. Providing technical support online since 2002, each member of our technical support staff has a minimum of 10 years of hands-on experience installing alarms, keyless entry and remote car starter systems. And with one of the largest support networks in the industry, our technicians can be directly contacted via phone, email, through our massage board, support forum and even by txt. With our wide-range of communication options, if you ever have a problem or question you can feel confident that you can easily contact someone in our technical support department. Repair or replace any part of the system that's found to fail from manufacturer quality under normal every day use for a period of 3 years from date-of-delivery, 1 year on remotes. All our car alarms & remote car starter systems have been road tested to provide the best protection and features at an affordable price. Each model has been thoroughly evaluated for performance, reliability, design and value, to insure brand integrity. We have literally installed and sold 1000's of our systems over the years and use them daily in our own personal vehicle's. With 1000's of VSS systems sold over the last decade we are confident that you'll be more than satisfied with the quality and service of our VSS kits that if for whatever reason after receiving and evaluating your VSS system that your not satisfied with your purchase you can return the system to us for a full refund within 30 days from date-of-delivery. Even if you think it's a great system but feel you can't tackle the job yourself and can't find anyone to install it for you, you can return it before attempting any installation.